This Hubstaff Talent review looks at a (relatively) small freelance job board that costs nothing for workers to use. So how does it measure up? We signed up and took a good look. Would you rather shop in a charming independent store, or fill your trolley in a massive hypermarket? It may seem like an odd thing to ask in this context, but it’s the kind of decision you need to make these days when choosing a job board for freelance gigs. The “Walmart” of the industry is undoubtedly Upwork. You’ll find (literally) hundreds of thousands of freelance jobs on the site – including some great ones from big-name companies – but you’ll also have to sift through plenty of….low-priced crap. That’s where sites like Hubstaff Talent come in. They’re more like those independent boutiques. Everything feels more carefully selected. There’s far less stock, and you may not always find something of interest, but the experience is considerably more enjoyable. That, in a nutshell, is how Hubstaff Talent differs from its more established counterparts – but now let’s delve into the detail. WHILE YOU’RE HERE! 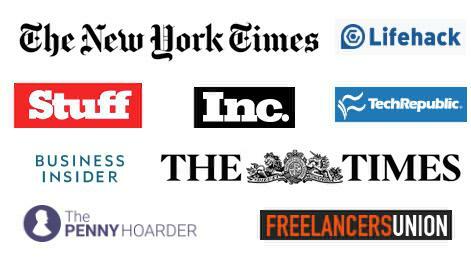 Check out 30 great freelance websites here. Like it or loathe it, Upwork is a benchmark for freelance job boards. Formed from a merger of eLance and oDesk, it has 12 million registered freelancers. At the time of writing this review, there were over 131,000 active job adverts on the site. Hubstaff Talent is home to just under 26,000 freelancers at the time of writing, and there are 628 freelance gigs on offer. That’s quite a contrast. But it doesn’t mean Hubstaff Talent is too small to bother with. In fact, I’d be inclined to say the opposite is true. 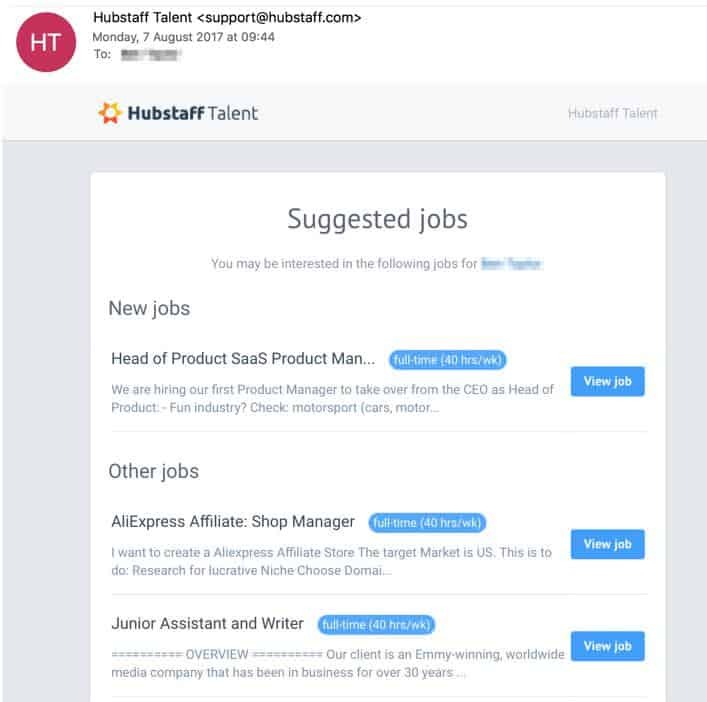 Hubstaff Talent has one HUGE benefit for freelancers over almost all other similar job boards: It’s completely free for freelancers to use. This is vastly different from Upwork’s model, which works on a sliding fee scale. Most controversially, freelancers have to pay a massive 20% of the first $500 they earn with each client. 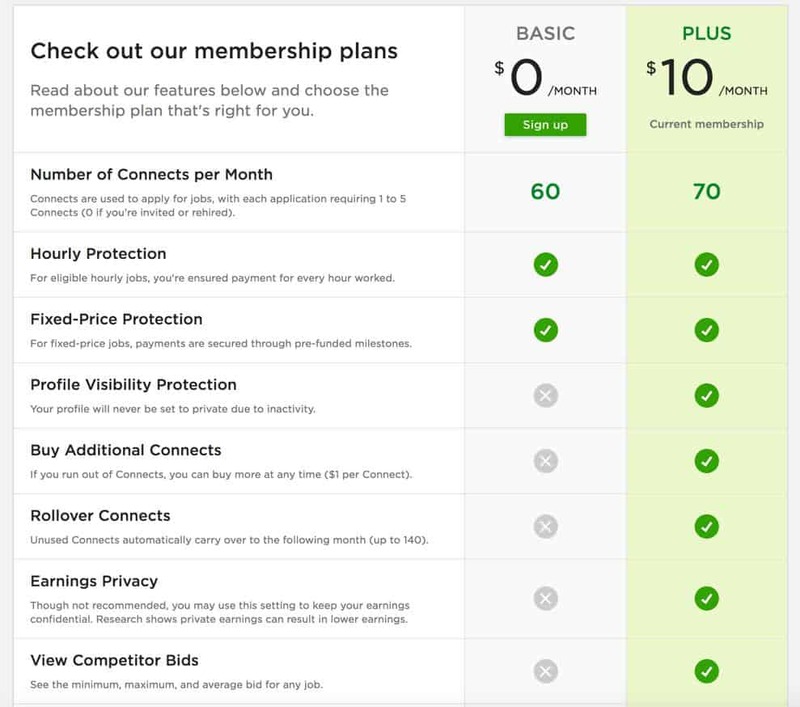 In addition, Upwork charges workers $10 per month for a “Plus” plan, needed to unlock some of the site’s most useful functionality. Upwork has come under a huge amount of criticism for its fees, but as it’s home to such a constant stream of new jobs, it inevitably enjoys a captive audience of freelancers. Regardless, this is the first big tick for Hubstaff Talent – being allowed to keep all the money you earn is an undeniable plus! 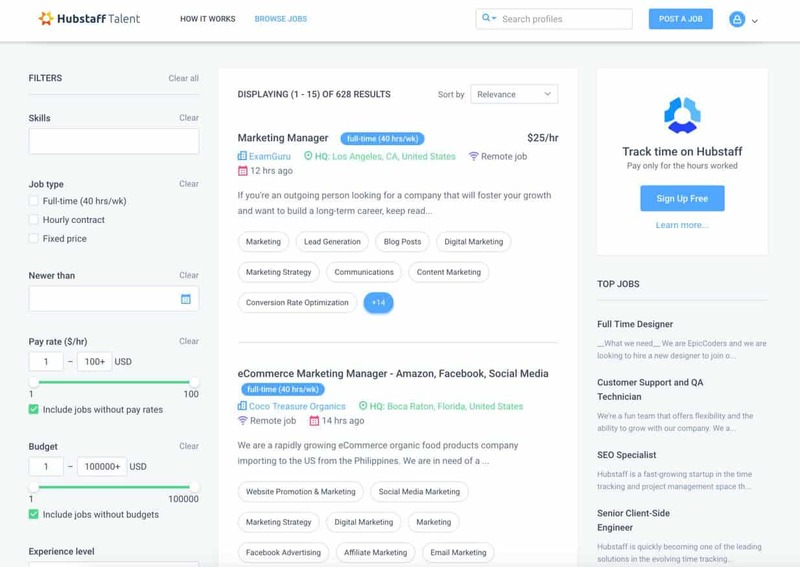 Beyond this, Hubstaff Talent is similar in many ways to Upwork, People Per Hour, and other similar sites. Freelancers set up a profile on the site that includes a photo, a skills breakdown, an introduction and a portfolio. Companies post their freelance requirements, then contractors apply to the jobs and (hopefully) get some of them! One small difference with Hubstaff Talent is that you’re encouraged, as a freelancer, to upload your current CV as well as setting up a profile – this is optional, and I wasn’t too sure about it, but on reflection I didn’t see the harm, although I did remove my home address, as I didn’t feel comfortable with that being so openly visible online. 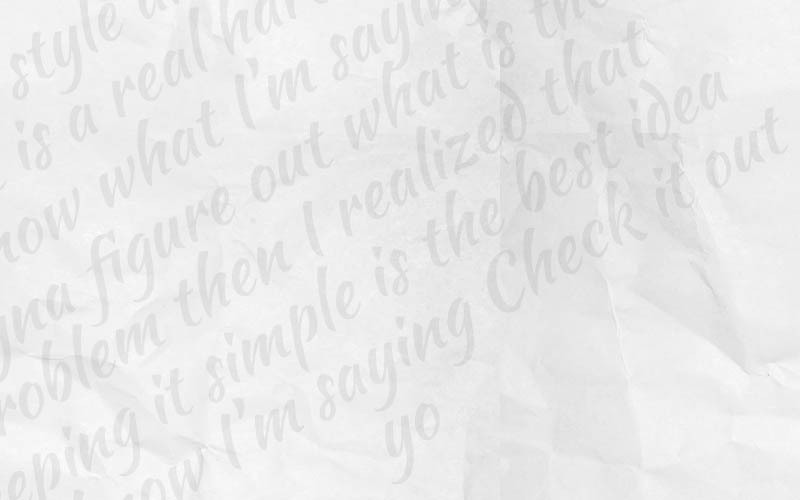 Everything’s very straightforward and works smoothly. Provided you have all the information you need to hand and your computer skills are up to scratch, you can be up and running with a profile on the site in about 15 minutes. If you’re already familiar with such sites, you may notice the “Portfolio” section (shown above) is quite rudimentary. 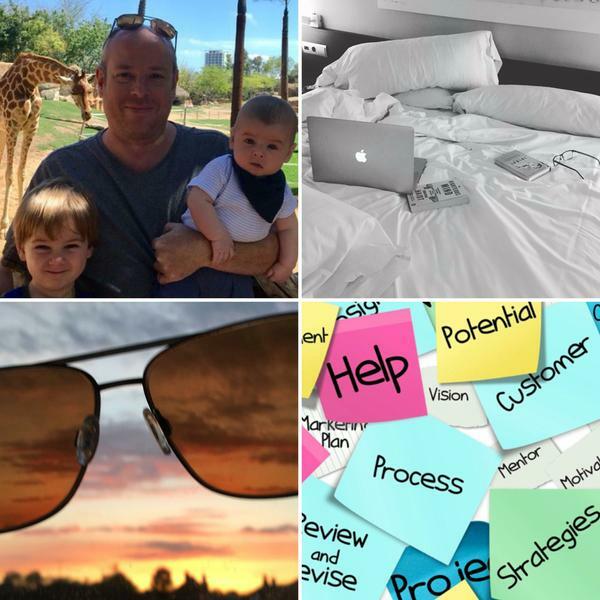 As a writer, I was surprised I couldn’t just link to online portfolio pieces as I do on my Contently portfolio – so it would be good to see this functionality evolve a little. As with some other boards, Hubstaff Talent offers companies access to its work time tracking and monitoring tool (this is, in fact, Hubstaff’s core business). As someone who generally works on fixed-price projects and objects to the “big brother” nature of such tools, I didn’t try this out personally, but it’s a well-rated product and not something anyone need worry about using – so long as freelancer and client are in agreement. The job search part of Hubstaff Talent is straightforward, with roles sorted on a “most recent first” basis by default. Beyond that, you can filter by job type, pay rate, location, and various other options. 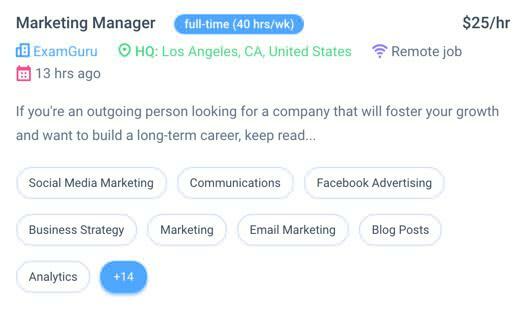 I liked the fact that you can usually see exactly what company you’re dealing with (something that’s often not the case on Upwork), and that a good many of the companies advertising make their intended hourly budget very clear. This saves an awful lot of time that gets wasted on other boards – reading through long adverts before working out that the client only wants to pay $3 per hour. Thankfully, there are jobs that pay sensible rates, and far fewer of the “bottom feeder” clients that prowl the larger job boards. The clear visibility of the company names makes “due diligence” much easier here than elsewhere. Applying to jobs takes you through a process where you’re usually required to answer some questions specific to the freelance role and also provide a custom message, akin to a cover letter. As with any freelance job board, a well-crafted response will give you a far better chance of hearing back than a mindless “boiler plate” application. As you can see, it’s all a case of “so far, so good,” but no site or service is without its faults. Ultimately, the thing that holds Hubstaff Talent back is its relative lack of jobs compared to the more established sites. That said, there are proportionally far fewer freelancers on the site too. Thanks to decent filtering options, it doesn’t take long to scan through anything you might have missed since you last logged on. You also receive “Suggested jobs” emails. While these have potential, at the moment they seem to highlight a lack of new roles that might suit your skills, as what I see bears little relevance to what my profile says. Some custom job alert features would arguably be more useful. These are minor criticisms really. Over time, the likelihood is that Hubstaff Talent will get “busier” and have more roles to offer. 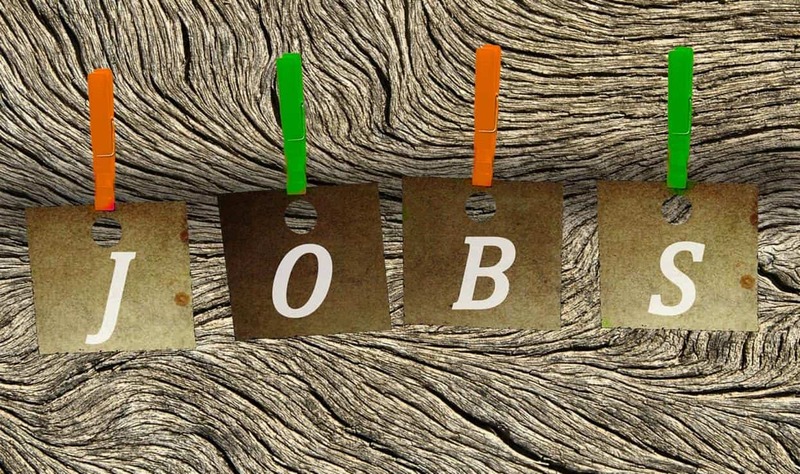 Personally, as someone who’s fortunate enough not to need to dip into the pool of freelance opportunities that often due to work from existing clients, I’d feel far more inclined to see what Hubstaff Talent had to offer first, before diving into the often rather demotivating shark tank that is Upwork! With fewer than 1,000 available jobs, I’m not going to pretend that Hubstaff Talent is likely to be a “one stop job shop” for freelancers – at least not quite yet. However, I liked the site a lot. I recommend it and will continue to use it. To return to my initial analogy, I’d far rather visit a small, friendly store if I’m only after one or two things than lose myself in a massive overwhelming hypermarket. That said, there are times when only a retail giant will do. If you’re in need of an endless stream of work opportunities, you do need to spread yourself out and set up profiles on multiple boards – and Upwork will probably be one of them. But if you’re lucky enough to be able to “shop in the boutiques” most of the time, Hubstaff Talent is one well worth choosing. And with that analogy now battered to within an inch of its life, I’ll leave it there! If you’re after a rather more established job board with more choice of work, take a look at People Per Hour too. Thank you for the info in your well-written article, “Hubstaff Talent Review: A Freelancer’s Perspective”. I stumbled upon it while searching for an alternative to UpWork which, by now, you probably know has erupted in a firestorm of angry protests from UpWork freelancers over UpWork’s decision to tack a fee onto the freelancers use of “connect” points. This policy decision appears to be the proverbial “last straw” for 100s (if not thousands) of UpWork freelancers when it comes to how much abuse the freelancers are willing to tolerate in terms of money being siphoned out of their pockets and deposited into UpWork’s pockets. Indeed Gary, a touchy subject! I have two articles coming up on this – one is a round-up of alternatives to Upwork, and the other is a piece on my take on Upwork’s changes – stay tuned for them!